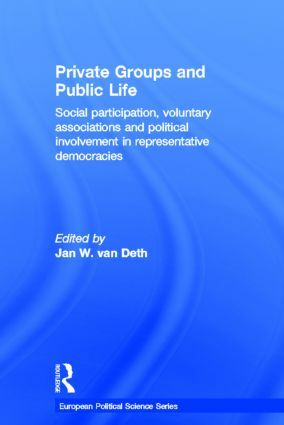 This book focuses on the changing relationship between social and political involvement in Western Europe. Empirical case studies examine how new social movements interact with conventional political structures as individuals and groups experiment with new forms of political expression. The results indicate not a declining, but a changing democratic culture.